Output voltage from +2 to +7 V and load current can be more than 150 mA. For this one transistor is connected externally, shown as Q1 in the Fig. 2.113. 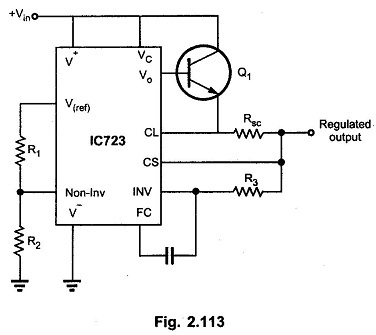 The functional equations are similar to that of basic low voltage regulator circuit.